presents the best resource for Cannabis enthusiasts. Gram scales are the perfect weapon against dodgy suppliers nowadays. If you think that you're getting less weed for your money, concern a digital scale to make sure to get what you paid for. However, finding one that is accurate and measures the right unit of mass (grams) can be tricky. You don’t want to get a device that measures everything. What you need is a gram scale. What are the best gram scales on Amazon and why? 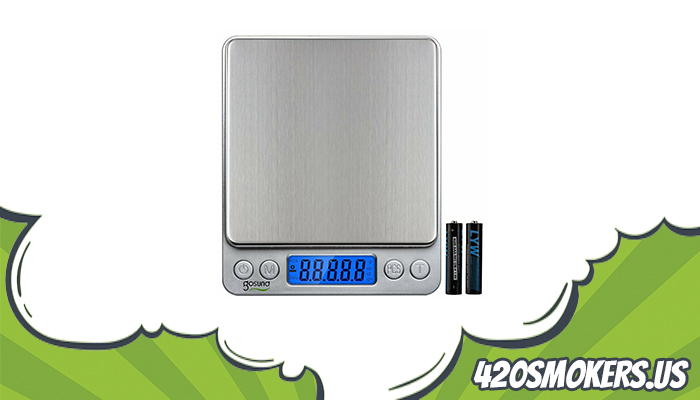 We recommend for a regular cannabis consumer the My Weigh T3 400 Triton, the NEWACALOX DH50G-1, or the American Weigh AWS-1KG-BLK. 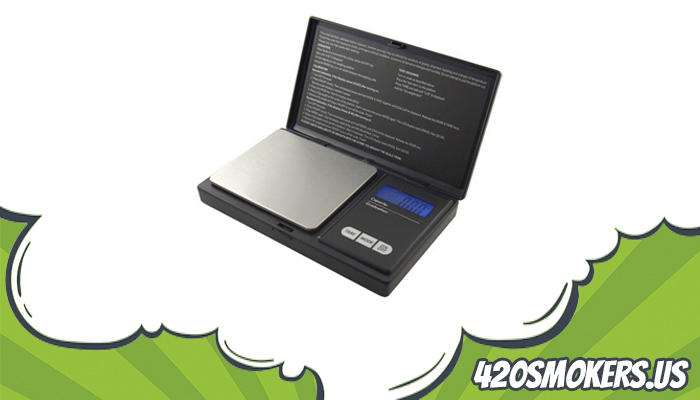 These 3 digital weed scales are very accurate and offer a reasonable price-performance ratio. 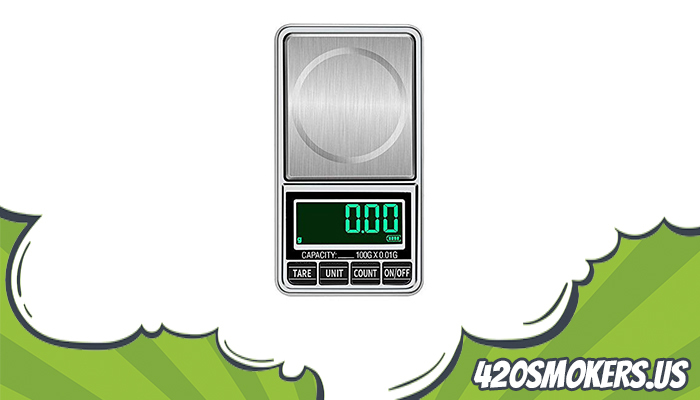 If you're looking for the perfect scale, make sure to read the rest of this post where we put together the 10 best gram scales on Amazon for weed. If you're thinking about getting a cheap digital scale, try to find one that is easy to use and has many positive reviews from people who have tried the scale before. You will find the best rated devices in this post. 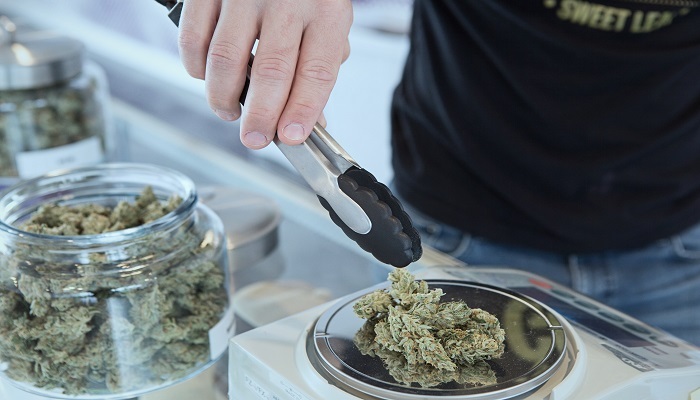 If you don't know the units of measurement for marijuana, and if you don’t like maths, you should definitely consider to check out the metrics of marijuana which is quite simple and possible to learn in under 10 minutes. That being said, let's get to know some of the weed scales that we've tried. Affordable - It's hard finding a gram scale that cost $50 or more online. Determine Scams - Double check if your local supplier fools you. Calculator Benefits - Determine the accurate marijuana dosage for you. Wondering where to buy your next gram scale? Amazon is a great place for that. You are able to pick up a quality built device for cheap. To make things easier for you, we've searched and found some good pieces that are totally worth it. These are the 10 best digital gram scales available from Amazon.com right now. This weed scale is by far the most exclusive top-secret looking one. You'll be stoked with this digital pocket scale. 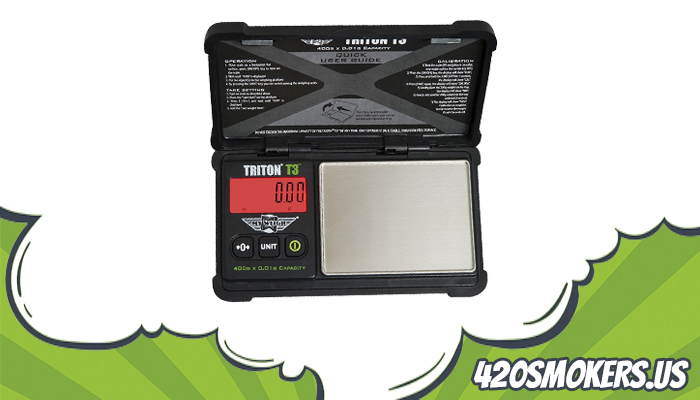 The My Weigh T3 400 Triton is a gram scale that offers all the features and is a quality product for under $30! 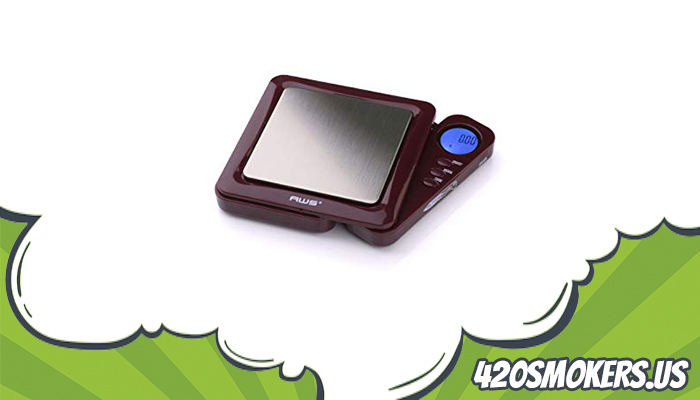 It is one of the most trusted devices when it comes to weighting weed. This model can weigh up to 400 grams in graduations of 0.01g. A friend of mine is using this portable milligram scale from NEWACALOX and suggest it to us. 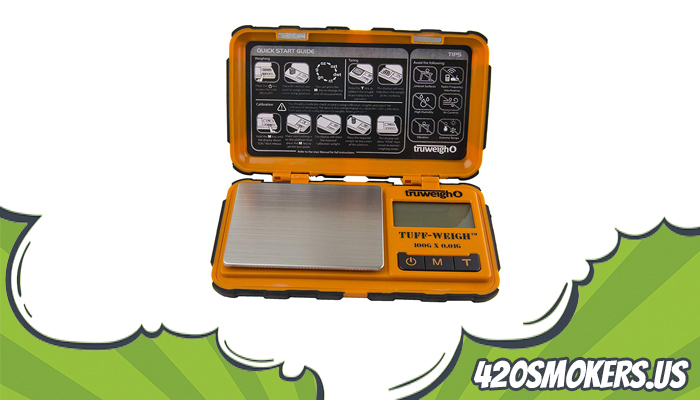 After we have tried it for 4 weeks we found that the scale could be the best rated one either but the My Weigh T3 400 Triton is built with higher quality materials and won the race. 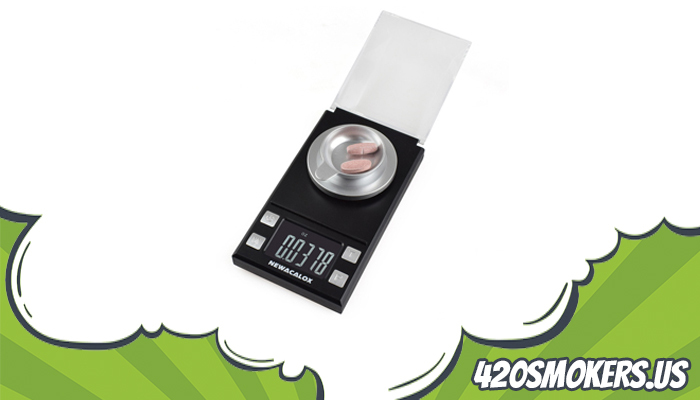 This weed scale can weigh up to 50 grams in graduations of just 0.001g. This digital pocket scale made it into Amazon Choice this year. The American Weigh AWS scale is incredibly cheap and extremely good to use. If you're looking for a small digital scale that weighs up to 1000 grams in 0.1 gram then take a look at this model. Another best seller on Amazon is the digital mini scale by AMIR. This electronic pocket scale offers tons of features such as an LCD display and six different weighing units. This model comes with a great looking design and is super lightweight. This devices delivers accurate results from 0.03g to 200g. The Hochoice scale is easy to use and user friendly. You can get this pocket scale for less than $30 from Amazon and delivers a strong performance with a 300g capacity to 0.01g readability and also with high precision through the 3rd generation sensor that's built in. If you are looking for a gram scale that lasts for years without losing any precision then you should consider this device from TruWeigh. The scale is a little heavier and bulky than other models but on the other hand super accurate (100g by 0.01g). This digital pocket scale is easy to use and comes with the features you need. Now, this milligram scale is ultra accurate (50g by 0.001g) every time you're using it, and is also able to perform many functions. The only thing you have to do when you receive this model is to calibrate the scale before using it. A great scale for under $20! PoLLux is by far one of the greatest scales manufactures on Amazon. 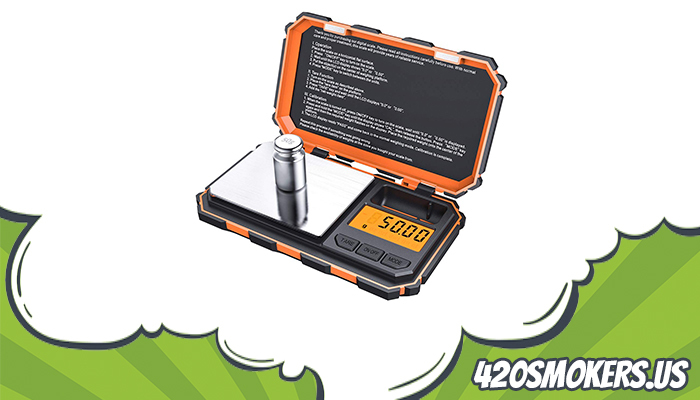 You can get their high precision digital milligram scale for under $30. Their GEM20 scores in accuracy and universal use. Weighing your weed cant get easier with this model. 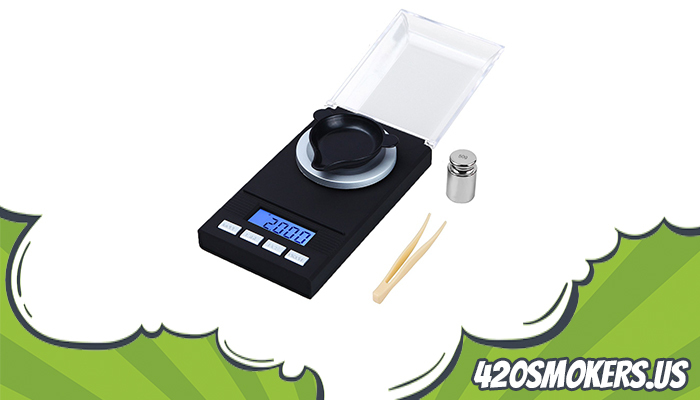 The GEM20 is an easy to use 20g by 0.001g gram scale for weed. We recommend the I2000 from Gosund because overall this inexpensive gram scale for less than $20 is the perfect option if you need a cheap but accurate scale. The I2000 can weight in total 3000g by the accuracy of 0.1g. Another masterpiece by American Weigh is their BL-100-BUR digital pocket scale that weighs up to 100 grams in 0.01 gram. There's no way you'll regret purchasing an American Weigh scale. Since there are hundreds of different scales for weed on Amazon, you'll need to be aware of cheap quality built ones. 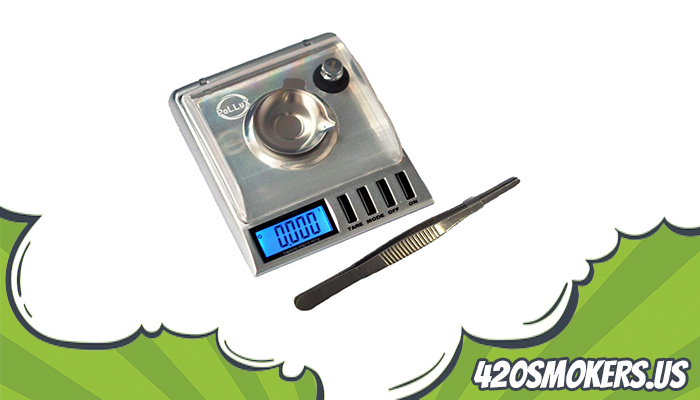 Be sure to check out the weed scales we recommend above to find a good device for you. If we had to choose one of the ten scales above, we would probably pick the My Weigh T3 400 Triton. It's a bit more expensive than the NEWACALOX DH50G-1 but weighs up to 400 grams in 0.01g. Get the Latest Content, Guides & Deals. A bucket list of portable bongs that won't break and cost under $100! Water Bongs are made from either glass, plastic, ceramic, bamboo, or metal. Plastic is the most commonly used material for portable bongs. A glass pipe is definitely a choice for marijuana connoisseurs and those who really like to get the most out of the smoking experience. We put together a list of 5 pot pipes that are totally worth it. Here are 12 smell proof bags for cannabis that are totally worth it. If you want to hide the odor of your weed, consider a pouch, bag or even backpack that locks the smell.